As I grow older I try to grow a little more mellow (day by day), I sometimes regress, but generally it is a positive journey. One way I try to express this newfound “mellowness” is by letting cars out into traffic. I try not to do it so much as to annoy the drivers behind me but generally… I will slow down and let cars into traffic except… (oh dear) except when a car forces itself forward as if… as if… what’s the word?… as if it is somehow entitled and this “entitlement” just sticks in my throat, causing the right leg to stiffen on the accelerator… oh sinful man that I am! Entitlement is an attitude of “I am owed”, maybe you can hear it in this anecdote? Martha Grover writes “I ask my father to read an article about male entitlement and emotional labor. Or more clearly… I am a college graduate, I am entitled to a good job; I am a senior citizen, I am entitled to the respect of younger generations; “I’ve been good to my friends, so they owe me their loyalty.… the list is endless. It seems our culture loves to foster these notions in us. Years ago McDonald’s restaurants built an entire ad campaign around the slogan, “You deserve a break today.” And later, it was “You owe it to yourself to buy a Mercedes Benz.” Society continues to bombard us with the message that we are such fantastic people, we are entitled to an equally fantastic way of living. To some degree, we all have entitlement feelings. We carry around a sense of being owed for something we have done or for some wonderful trait we have. 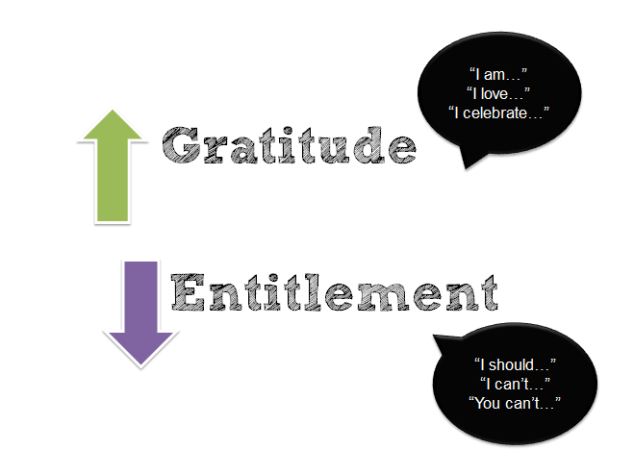 When we feel entitled, we focus on what we are owed, not what we might need to give to others. It is a “one-way street” mind-set. When these feelings are strong and people don’t meet our expectations, we then find ourselves bitter, resentful, and angry. Relationships can be (and often are) destroyed by feelings of entitlement. It’s all there in our readings today both from Hebrew Scripture (Job) and the Gospel (Mark). Job 38… clearly Job is suffering from a serious bout of entitlement, exacerbated by his friends who feel entitled to offer gratuitous, platitudinous and grievous counsel. The Lord takes Job to ask… “Who in the name of… Heaven do you think are? Were you engaged in the creation of the world… no! Did you get busy with measuring cosmic and global lines… no! Did I see you partying with morning stars and heavenly beings… no!”. The purpose of this vigorous engagement between Creator and Creature was not intended to belittle Job but rather to put him in right perspective, right relationship with his God. And entitlement rears its ugly head again in Mark 10. The brothers James and John approach Jesus with a marked sense of entitlement… they’re owed for their service, their sacrifice, their loyalty. And their entitlement not only empowers them to approach Jesus privately but then to make ridiculous demands above and beyond their fellows. And look what happens… the others get angry. I want to take a pause here and underline, stress what I believe to be one of the most challenging words of Jesus (Mark 10:43): “but it shall not be so among you” (literally, “not thus however shall it be among you”). Beyond the church there may well be a prevalent attitude of building up endless funds of money for the proverbial “rainy day” – “but it shall not be so among you” where trust and faith and generosity are nurtured. Beyond the church there may be petty jockeying for position and influence – “but it shall not be so among you” where humility and service characterize Christian living. Beyond the church there may be gossip, palace intrigue and partisanship – “but it shall not be so among you” where the vocation to unity is central, and where confession, forgiveness and restoration is paramount. Governed, dominated, shaped by a craven sense of entitlement… Jesus cries out, yearning to reach deeply into my heart and yours… “IT SHALL NOT BE SO AMONG YOU”. Thank God for the Letter to the Hebrews… chapter 5, for here we discover a functional, healthy, gracious way to live. The writer prepares us for the sublime as he writes first of the High Priest… a position of singular honor, a function of unique ministry, a vocation of sublime nature. Listen Hebrews 5:4 (Message Translation) “No one elects himself to this honored position. He is called to it by God”. And this, my friends, prepares us for the theological, Christological coup-de-grace as the writer then says of Jesus, “Neither did Christ presume to set himself up as high priest, but was set apart by the One who said to him, “You are my Son; today I celebrate you!”. Jesus gives us the example of a beautiful life liberated from the thrall of entitlement, the corrosion of self-aggrandizement, the nastiness of self-absorption. And what Jesus sets as divine example so he enables by divine power… the power to trust God, to surrender to God. It is central, it is crucial, it is core to the divine nature that God though entitled to everything, demands nothing and so thus we live in a kingdom of grace, we breathe an atmosphere of grace, we labor in a workshop of grace. And because of Jesus we gain entitlement to be able to say, “We are beloved of God, chosen and precious” – from this primal psychic entitlement healthy living, healthy relationships become possible. Steve Maraboli (Behavioural Scientist) writes “A sense of entitlement is a cancerous thought process… void of gratitude and deadly to relationships”.